Do you ever wonder what your dog does all day while you’re at work? Thanks to modern technology, gadgets, and apps, you can easily keep tabs on your pet while you’re away from home using a pet camera. There are also cameras that let you chat with your dog, post your favorite pet pics to social media, and even feed your dog treats from afar. If you’re thinking about investing in a pet camera, we’ve compiled some helpful information to help you choose the perfect model for your needs. 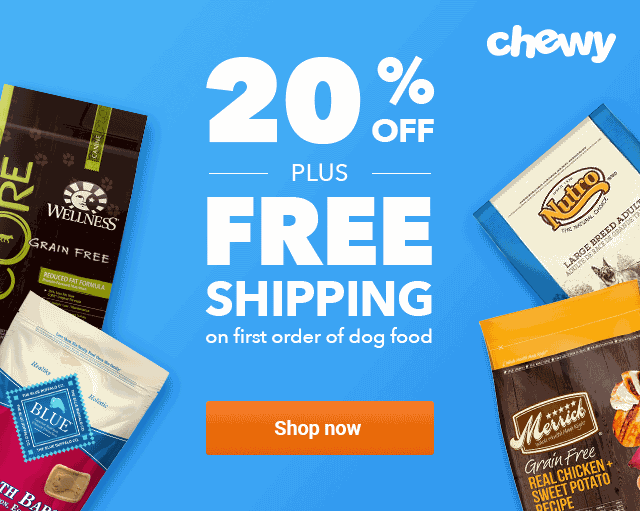 What is a Pet Camera or Pet Cam? Pet cameras are webcams that you strategically position in your home so you can keep a watchful eye on your pet when you’re away from home. Generally, pet cameras are connected to your home network via Wi-Fi and allow you stream live video of your pet through your smartphone. Of course, that’s not all these cameras have going for them. Many come with innovative bells and whistles like infrared night vision, two-way communication, temperature notifications, and even treat dispensers. Pet ownership has definitely gone high tech, but are pet cameras actually useful? Why Would You Want a Pet Camera? If you are at all curious about what your dog is up to while you’re away, then a dog camera might be just the thing. 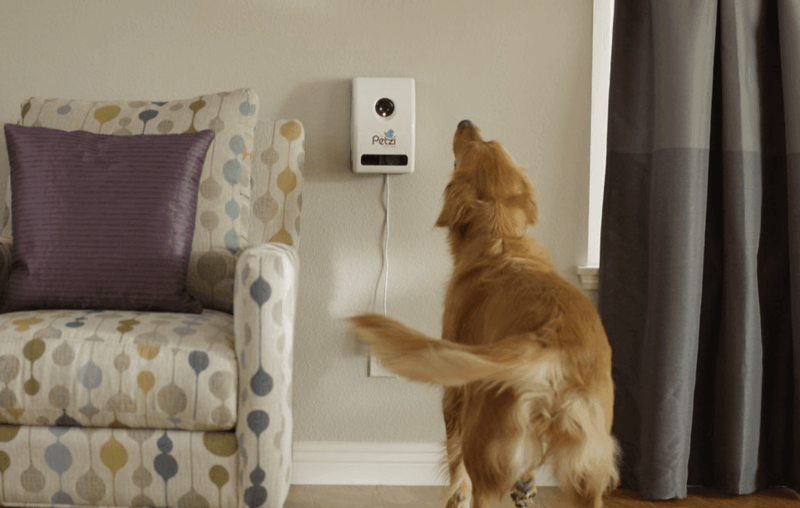 If your dog suffers from separation anxiety, chews while you’re away, or you just feel guilty leaving them alone all day, a pet cam could you both feel better. Many dog cameras provide two-way communication options, which means in addition to keeping an eye on your pooch, you can also talk to them. 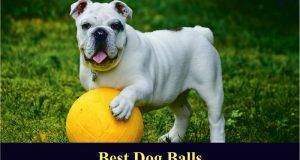 Many pet cameras also have some useful applications that have nothing to do with your dogs. Some have built-in motion detectors, sound detectors, or temperature detectors that can help keep your home safe when you’re away for long periods. You can also set the camera to view outside your front door to monitor for package deliveries or other visitors. 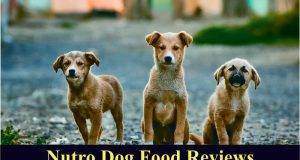 Who are Pet Cameras Best Suited for? Pet cameras work best with an app installed on your smartphone. Most are compatible with Android and iOS devices, but if you don’t use a smartphone, a pet camera might not be for you. See our list of best pet cameras below for a camera that works well with a computer instead of a phone. Cameras are connected to your home network using Wi-Fi. They won’t work if you don’t have Wi-Fi connectivity at home. Unless your pet is anxious and unsettled when you leave, there’s a good chance that they’ll spend their day sleeping, making for a pretty boring investment in a pet camera. Of course, there’s also a chance that your dog is up to no good. 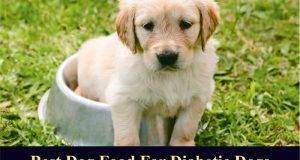 Check out this video for your dog might be doing when you’re away. You can get a basic pet camera model that will allow you to stream live video of your home and your pets while you’re away. Most will let you communicate with your dog and display high-quality video or still shots that you can view on your phone. High tech models are much pricier and provide many of the bells and whistles we mention above. Want to train your pet from work? Play with your dog using a built-in laser pointer? The market has you covered. Once you decide that a pet camera is for you, it can be difficult to figure out which one to buy. Here are a few tips — what to look for and what to avoid. Resolution: The higher your camera’s resolution, the better the quality of your video. Low-resolution cameras will appear grainy, without much detail. Look for a camera with at least 640 X 480 for decent picture quality. Frame Rate: Your frame rate is measured in frames per second, and very low frame rates will cause your video to freeze mid-stream. Durability: Some pet cameras are meant to be mounted on a wall or table and forgotten about, while others are interactive, allowing you to communicate with and treat your dog. Most cameras won’t be able to withstand heavy chewing, but your camera should be durable enough to be dropped or pushed around without being damaged. Interactive functionality: Do you want to simply keep an eye on your pet, or do you want to talk to them, play with them, post pictures of them to social media, and give them treats when they behave? The more functions built into your pet camera’s design, the more expensive it will be. Customer Support: Your pet camera is a computer, and like any computer, it will only be as smart as the person using it. While most pet cams are easy to set up and use, it is worth checking into the support that comes with the product. You don’t want to be stuck with something that you can’t figure out and with nobody to call. Warranty - Before making a purchase, check what kind of warranty it has and what is covered under the plan. 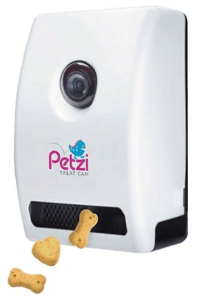 The Petzi Treat Cam is more than just a camera. 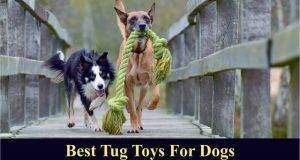 It allows you pop in on your dog anytime, say hello, and give them treats. The app is easy to use and features its own social network for uploading the photos you snap with the camera. Night vision allows you see your dog when the house is dark. One-way microphone means you can talk to your pets, but you can’t hear them. This simple high definition camera features a wide-angle glass lens for good quality videos and still photos. 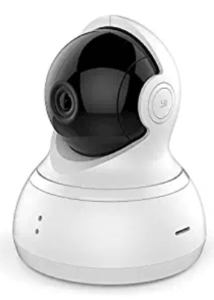 Two-way audio, night vision, and a user-friendly app make the Yi dome camera a great choice if you’re looking for high quality with no frills. It can be mounted on a table, wall, or ceiling, and provides 360 degrees of wide angle viewing. This high-definition pet camera features 25 frames per second and a super wide 90-degree viewing angle which you can view on your smartphone, tablet, or computer. Two-way audio, night vision, and micro SD recording are also included. Set up for the Sotion camera is really easy, making this a great low-tech choice for a simple pet camera system. 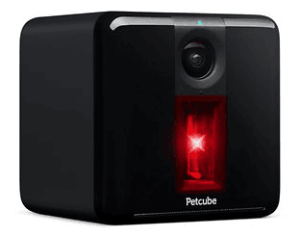 The Pet Cube Play allows you to watch, talk to, and play with your dog in real time. 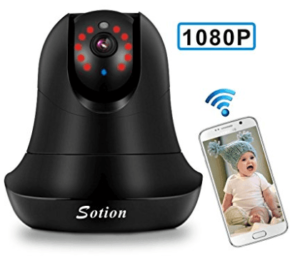 Full HD video, 2-way audio, night vision, and sound and motion sensors mean that it can also be used as a security camera or baby monitor. You can also subscribe to an optional Petcube care cloud service, which will enable you to rewind and review up to 30 days of video history. 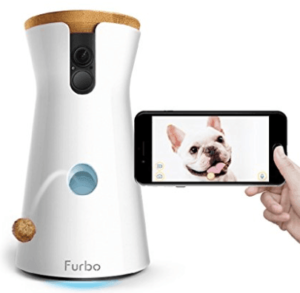 The Furbo is another treat-tossing dog camera with a lot of cool features. Like many of the other models, this one includes 2-way audio communication, night vision, and HD video. It will also send notifications to your phone if your dog barks. Treats are launched into the air, making for a fun game of fetch when you’re away from home. Being able to check on your pets when you’re at work can ease your guilt and help your pets feel more comfortable staying home alone. 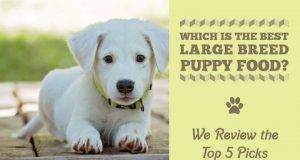 The pet camera model that you choose will depend largely on your unique situation. A simple webcam will allow you observe, and even talk to your dogs. For treating, training, and playing capabilities, opt for a model that has been designed specifically for pets. The bottom line is that pet cameras are a solid solution for dog owners who want to keep tabs on their pets and their home when they can’t be there. 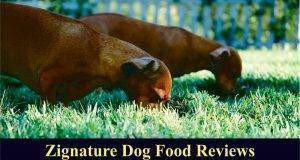 ​If you found this article interesting, you may want to check out our reviews of electronic doggie doors. Next: How Long Do Golden Retrievers Live? How Can You Extend This?